British American Tobacco has agreed a $49.4bn (£40bn) deal to take control of US rival Reynolds, creating the world's largest listed tobacco firm. The UK company has been in talks with Reynolds for months about buying the 57.8% stake it does not already own. 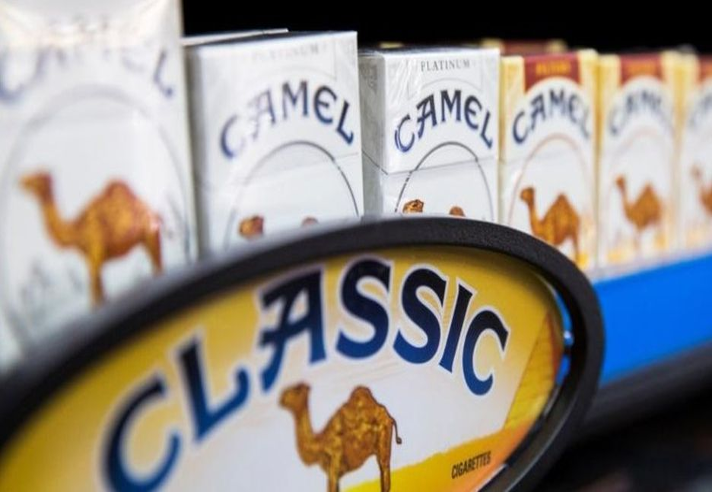 The merger would bring together some of the tobacco industry's best-known brands, including Lucky Strike, Rothmans, Dunhill and Camel cigarettes. A merger "creates a stronger, truly global tobacco" business, BAT said. BAT, a shareholder in Reynolds since 2004, said last year that the merger was "the logical progression in our relationship". However, the UK company's initial approaches were rebuffed by Reynolds, and a $47bn offer was rejected last November. BAT estimates that it can make $400m worth of cost-savings through the merger. Reynolds has been operating since 1875 and is the second largest tobacco company in the US after Altria, which owns Philip Morris USA. Last year, Reynolds completed its $25bn takeover of US rival Lorillard. The combined company was forced to sell off a number of brands, including Kool, Salem and Winston, to satisfy regulators. They were eventually bought by Britain's Imperial Tobacco for $7.1bn. BAT products include Rothmans, Kool and Kent, while Reynolds' brands include Newport, Camel, Pall Mall, Doral, Misty and Capri. The UK company has more than 200 brands, and is a big player in the market for e-cigarettes. The takeover will give it a further foothold in the US, and give the combined business a significant presence in high-growth markets including South America, the Middle East and Africa. The offer comprises $25bn worth of BAT shares and $24.4bn in cash, valuing the whole Reynolds business at more than $85bn. The sweetened deal represents a 26% premium against the closing price of Reynolds' shares on 20 October, when news of BAT's interest in taking full control of Reynolds emerged. Nicandro Durante, BAT's chief executive, said: "We have been shareholders in Reynolds since 2004 and we have benefited from the success of the present management team's strategy, including its acquisition of Lorillard, which we supported with our own investment in 2015. "Our combination with Reynolds will benefit from utilising the best talent from both organisations. It will create a stronger, global tobacco and NGP [new-generation products] business with direct access for our products across the most attractive markets in the world." Steve Clayton, fund manager at Hargreaves Lansdown, said the takeover was a "big move" for BAT, but made "a lot of sense". However, he added: "We can't ignore the debts that BAT are taking on to fund the deal, and in the short term, the stock has become a bit more risky as a result. But tobacco is a very cash generative business and we expect the enlarged group to be able to pay the debts down quite quickly. "The sheer scale of the enlarged BAT raises the pressure on the remaining players to bulk up too, and attention is likely to turn to Imperial Brands, who look more and more like a minnow swimming in a tank of big, hungry fish."